A very special new addition has come to the Chicagoland Radio & Media website. The long-running Beatles-themed radio show, “The Magical Mystery Tour” will now be featured in podcast form in this website’s Podcasts section. All original podcasts by the show’s host and creator James D. Jones can be heard exclusively on CRM. 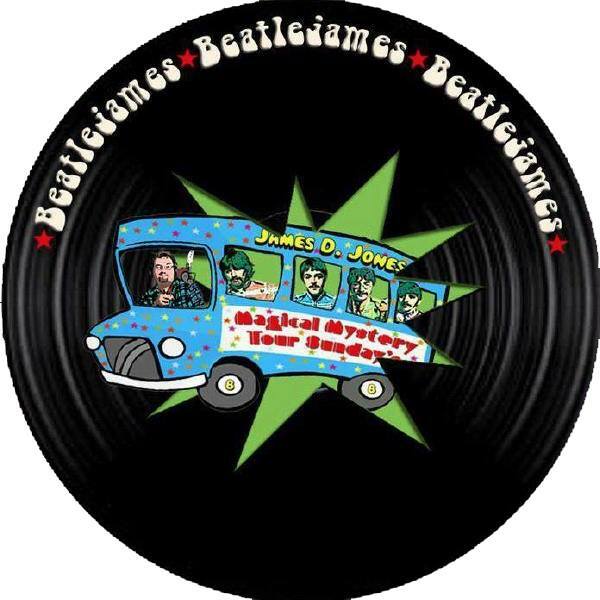 “The Magical Mystery Tour – The Beatle Years & Beyond” (“MMT”) was created by James D. Jones in 1999. It was originally heard for many years each weekend on Milner Broadcasting’s WVLI-FM/The Valley (then at 95.1), as well Milner-owned sister-station, WFAV-FM (then at 103.7). In 2009, Jones and his Beatles radio show moved to STARadio and WYKT-FM/105.5 The Kat. When that station flipped to a heavy metal format, the show shifted to sister-station WKAN-AM 1320 for a short time. Since March 2013, “MMT” has been heard each Sunday afternoon on Kankakee Community College’s public radio station, WKCC-FM 91.1. Even though it has been on the air in Chicago’s south suburbs for over 15 years, the audience for “MMT” has been huge worldwide, thanks to the shows being streamed online live and on demand on the “MMT” website. Unlike other radio shows and segments about the Beatles, “MMT” takes a different approach to presenting the band’s music to its fans. The program does not just play the same handful of Beatles songs approved by corporate radio consultants. “MMT” plays the hit singles, along with the deep tracks, rarities/alternate takes, and live tracks. The first half of most shows focuses on the Beatles as a band, while the second half of the show focuses on later solo work by the individual Beatles. Jones will also do an occasional and unique feature that he calls “The Beatles Fantasy Reunion Concerts,” where he gives the listeners the ability to experience the best concerts that never were. Along with the carefully selected music each week, “Everybody’s Favorite Tour Guide” James D. Jones helps the listener gain a greater appreciation for the classic songs by delivering information and background stories about the recordings. 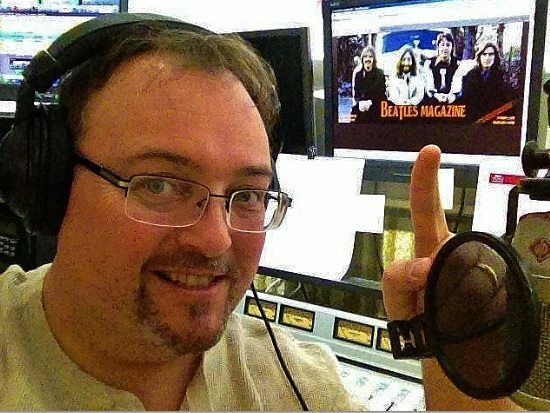 “MMT” host/creator Jones (aka “BeatleJames”) is first and foremost a fan of the Fab Four. 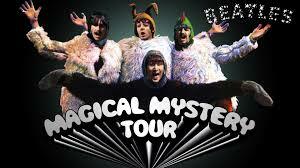 The show is presented by a Beatles fan for Beatles fans. Admirers of his work have noted the passion and a sincerity that shines through in his “MMT” shows. With his over 15 years of hosting “MMT,” he is now the longest-running host of a Chicagoland Beatles show in local radio history. Some other Beatles radio shows, particularly the Chicago version of “Breakfast With The Beatles,” have been around longer, but have bounced around from station to station and had numerous different hosts over the years. That “Breakfast With The Beatles” show is currently heard on weekends on WXRT-FM/93XRT. It has been hosted by Terri Hemmert since 2002. In addition to hosting “MMT” each weekend for WKCC-FM, Jones is the Operations and Production Manager for that station. In his spare time he also emcees events and is a local concert promoter. Jones has graciously agreed to deliver periodic “MMT” podcasts exclusively for the Chicagoland Radio & Media website. The very first podcast is now posted up in the CRM Podcasts section. It has been split into two parts with each over an hour long. At the start of Part 1, Jones is introduced by Joey Molland from the band Badfinger and George Harrison’s sister Louise. He also explains a bit about “MMT” for those not yet familiar with the show.